Like those in the real world, structures in the cyber-world require ongoing maintenance. 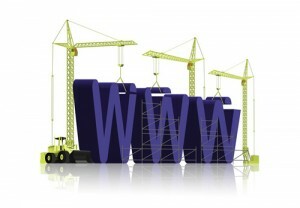 Site upkeep is a pivotal piece to staying relevant and preserving web appeal. Continuous upgrading of features is one way to keep your site a level above. If you want to widen the net you’ll have to consider whether or not the content is drawing traffic to your site. For example, does your homepage prod the visitor to browse? Are you identifying yourself with crisp, enticing language? Do the graphics pop? Are you up on current trends? Is your message interesting or unique? Most importantly, is the content fresh? Delivery of content can float or flat-line your product. A website can have slick graphics all day long, but recycled content makes you look outdated, uninspired and lazy. Refreshing content is essential. It’s smart strategy. The services/skills you offer are in many ways hinged upon your ability to expand your database of ideas and information. The Sitetechs team can assist you with updating data, whether with PR-related materials, news updates, articles or blog form. We’ll take a look at creative ways your website can cross-reference information or key publications you can link-up with to offer your prospective client a multidimensional portal of information. Interactivity is a key factor in sustaining high-level functionality. People like the idea you’re a click away to direct communication. Features such as question submissions, direct email or a comments section keeps you engaged with the customer. If maintenance is your priority, we make it ours. Sitetechs will team up with you in this ongoing effort and determine the best timeline that fits into your planning, long or short-term. Our goal is to make sure maintaining your site yields measurable results. * Additional Hands-on work will be billed at $15 per quarter hour. Large projects will be quoted on separately.